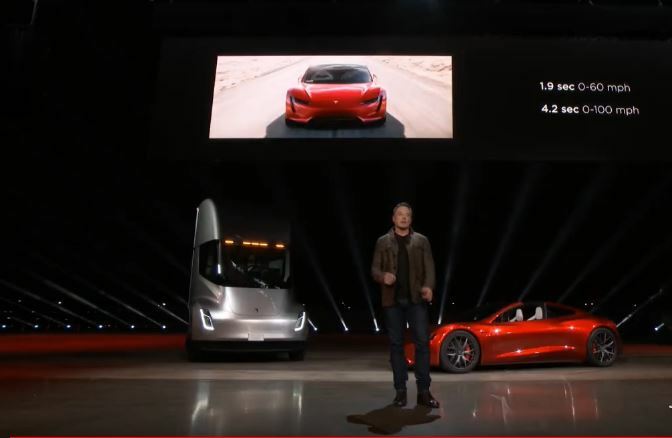 Last night, Tesla revealed two models with peak zero-to-60 mph performance and a substantial range: its new Roadster sports car and electric semi-truck. The Roadster has the quickest acceleration rate of a production car up to date, due to its capacity to go from zero to 60 mph in just 1.9 seconds. It can also attain speeds over 250 mph, while delivering a range of 620 miles. The Roadster is outfitted with four seats, unlike the company’s first version of this model which became extinct in 2012. 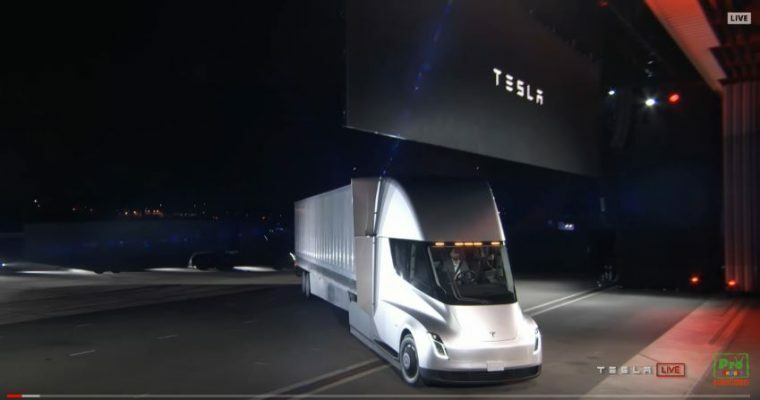 As fantastic as the innovative Roadster is, however, Tesla’s reveal emphasized its unique electric semi-truck design. It takes just five seconds to go from a standstill to 60 mph, with an empty trailer. When it has a full load, it achieves that same acceleration in 20 seconds–still impressive for such a massive truck. The semi-truck’s range proves another bragging point for Tesla. Fully loaded, the truck can go up to 500 miles on the highway, which would allow the driver to complete a round trip before needing to recharge. Tesla will also provide a 300-mile version of the semi-truck, to suit a wider range of preferences. Besides performance prowess, the new semi-truck will come rigged with AutoPilot, Tesla’s semi-autonomous driving system. Drivers will also enjoy a roomier cabin due to the lack of a bulky diesel engine. The driver’s seat is centered in the middle of the cabin with two touch screens on either side of the wheel, for a refreshingly avant-garde style and high-tech convenience. Exactly how much will the Roadster and semi-truck cost? 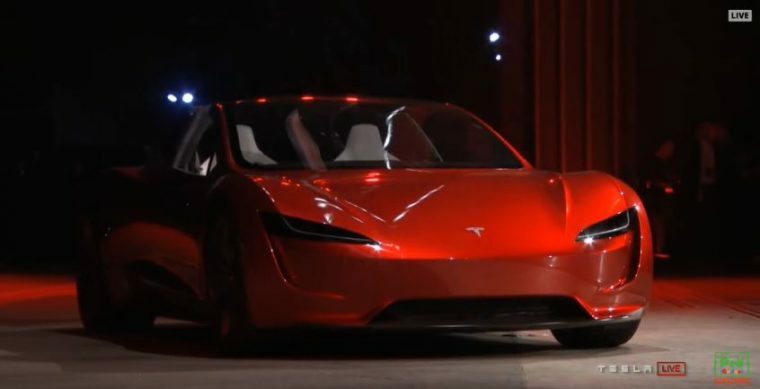 Those interested in the new Roadster can expect to pay a reservation deposit of $50,000 plus a price tag of $200,000. Tesla has yet to declare the cost of the semi-truck. However, Tesla claims that the low cost of running the truck combined with drive systems guaranteed to last for 1 million miles, should enable buyers to make a return on this investment after about two years of owning it.